IMAGINE YOURSELF IN YOUR OUTDOOR LIVING ROOM, A COZY PLACE WHERE YOU CAN ENTERTAIN WITH FRIENDS AND FAMILY. Patios are considered outdoor living spaces used for a variety of reasons including dining, cooking, socializing and relaxing. Commonly located beside an outdoor kitchen, barbeque area or close to the back door of your home, an outdoor dining patio will provide you with the convenience when carrying out that favourite meal to enjoy al fresco. 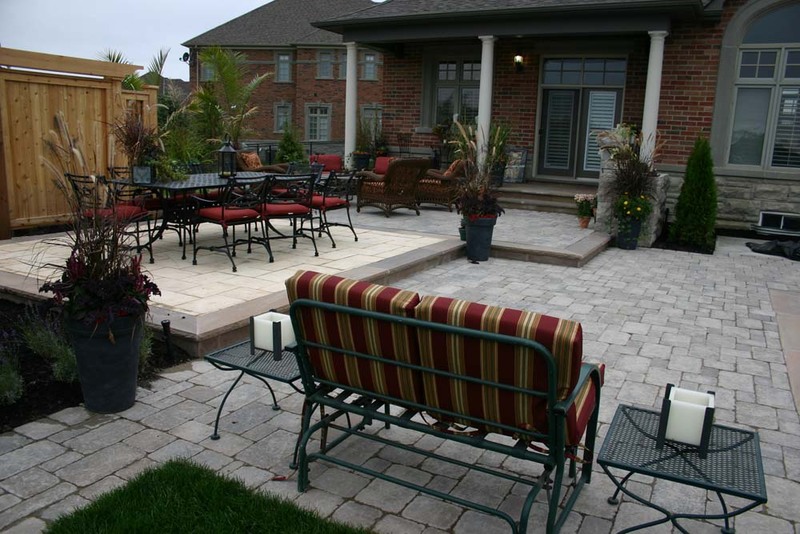 A bistro patio will fit perfectly into a small garden. This area is usually big enough for a small table and a couple of chairs. This can also be a perfect breakfast spot or can be located in a front courtyard. Sundecks or lounging spaces are located near a swimming pool. A recent trend in creating an outdoor lounging space is to include chaise lounges, L or U-shaped sectional furniture and ottomans, similar to what you would find indoors. Design your outdoor living space according to the activities you would like to accommodate. There are many options you can incorporate when designing your dining patio or lounging space which can include an overhead structure, fireplace or fire pit. Imagine the potential...we can.